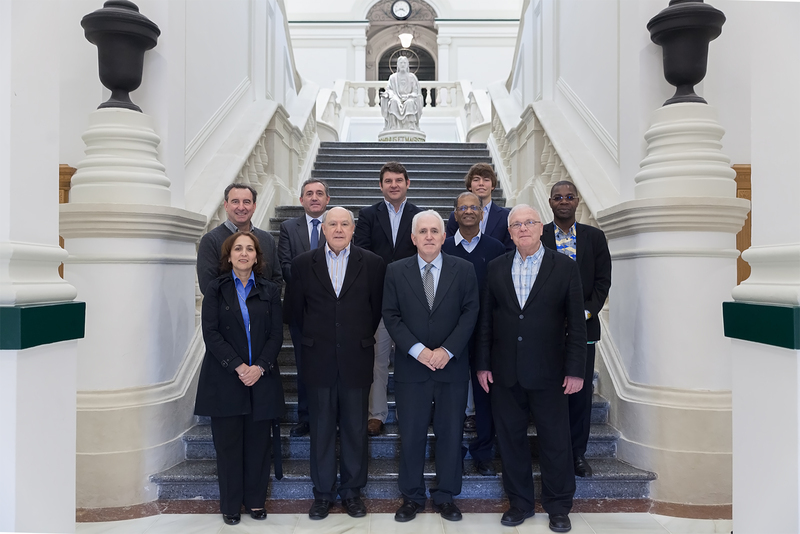 The University of Deusto will be hosting the World Assembly of Jesuit Higher Education Institutions next 8 and 12 July. This meeting will bring together the presidents, rectors and heads of over two hundred Jesuit higher education universities and institutions worldwide in Bilbao. Around 400 people will make Deusto the capital of Jesuit universities. This university was the designated venue to host this meeting among a select group of candidate cities from all over the world. This time the Assembly aims to reflect and delve into some of the key challenges facing Jesuit institutions and across the world such as civic and political leadership, environmental and economic justice, education for the disadvantaged, peace and reconciliation or interreligious dialogue. Some of the leading Jesuit universities worldwide, including Georgetown University, Santa Clara University, Loyola Chicago, San Francisco University, Pontificia Gregoriana (Italy), Javeriana Bogotá, Iteso (Mexico), Universidad Católica de Córdoba (Argentina), Ateneo de Manila University or Sofia University in Tokyo will be attending this third World Assembly under the title: “Transforming Our World Together”. The first two were held in Mexico (2010) and Melbourne (2015). The Superior General of the Society of Jesus, Arturo Sosa, S.J., in his first visit to the Basque Country, will chair this Assembly, whose main event will the creation and setting up of the World Association of Jesuit Higher Education Universities and Institutions on 11 July in Loyola. This association will provide legal status, structure and stability to the entire Jesuit university network and will give a new boost to Jesuit universities worldwide. In addition, this meeting in Bilbao marks the recognition and support to the University of Deusto and to the city of Bilbao as a whole. In turn, the setting up of the Association offers a world of new opportunities for the internationalisation of this university and its networking with institutions worldwide. World map of Jesuit higher education universities and institutions. -Cardinal Giuseppe Versaldi, Prefect of the Congregation for Catholic Education, with a talk on: “Greetings from Congregation for Catholic Education”. -Cardinal Gianfranco Ravasi, President of the Pontifical Board for Culture, with a talk on: “Catholic Social Teaching and the role of the Jesuit University today”. -Pankaj Mishra, Indian political scientist and thinker, named one of the top world thinkers by Foreign Policy magazine, with a talk on: “Social and Political Fragmentation and the role of the Jesuit University”. -Gael Giraud, SJ, economist, senior researcher at C.N.R.S. (French national centre for scientific research) and member of the Paris School of Economics and the French expert Committee for the national debate on ecological transition, with a talk on: “Economic Inequality and Environmental Degradation and the role of Jesuit University”. -Father General Arturo Sosa, S.J., elected Superior General of the Society of Jesus in October 2016 at the 36th General Congregation of the Society of Jesus, who will give a talk on “The role of the Jesuit University and the call to Reconciliation”.